After hearing from a friend that a flapjack in the UK is a crunchy yet chewy bar made with steel cut oats I definitely wanted to give it a shot. I was a bit confused at first when he mentioned the term because here a flapjack is basically a big pancake. 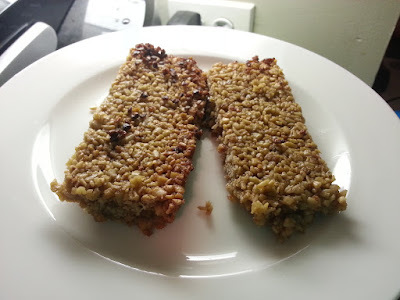 He shared a basic recipe for a flapjack located at http://britishfood.about.com/od/eorecipes/r/flapjack.htm. One of the ingredients required, golden syrup seems to be a uniquely British item. Not having easy access to golden syrup I thought an appropriate alternative would be Vermont maple syrup and it worked out wonderfully. I began by melting the butter in a saucepan along with 6 tablespoons maple syrup and lemon zest. At this point I didn't add the brown sugar and additional syrup but I'll explain more later. Once it was all mixed, I stirred in the oats until fully coated. I moved this combination into a baking dish that I buttered and lined with parchment paper. I made sure to press the mixture into an even layer. I placed in a 350F oven for 25 min just until the edges got a bit of color. This is where the brown sugar comes in. 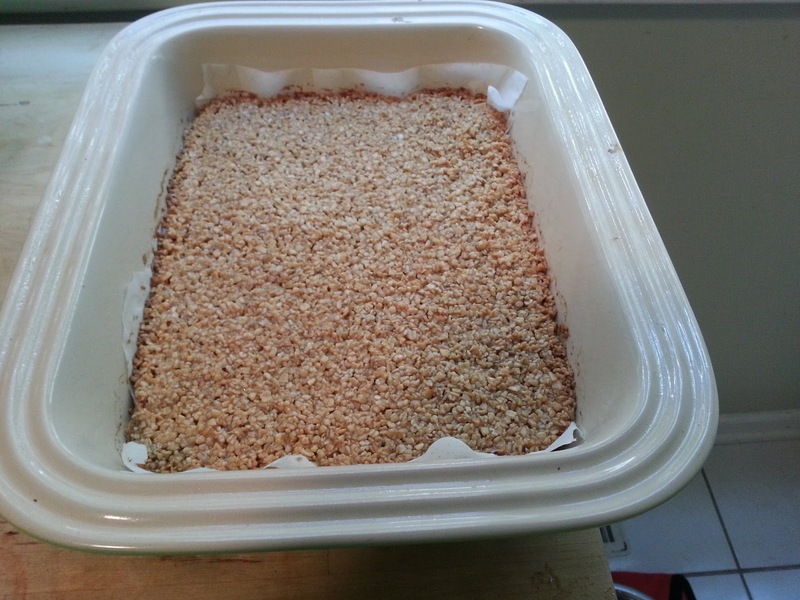 after cooling my flapjack came out crumbly and didn't cut into bars as expected. From reading online it looks like I was perhaps lacking sugar. I poured the crumbly flapjack into a mixing bowl and added .5 cups of brown sugar and an additional syrup over top and mixed again and placed in the oven for an additional 15 minutes. It set up this time! It is hard to say if partially cooking and adding more ingredients had an impact so I will make another attempt soon and report back the results. After completely cooling I was left with crunchy yet chewy bars that had a very nutty texture from the toasted oats and a rich caramel like flavor from the butter and syrup. Apart from being delicious it is fairly nutritious with oats being the dominant ingredient overall.